One of the coolest new apps released for the iPad is OnLive Desktop. 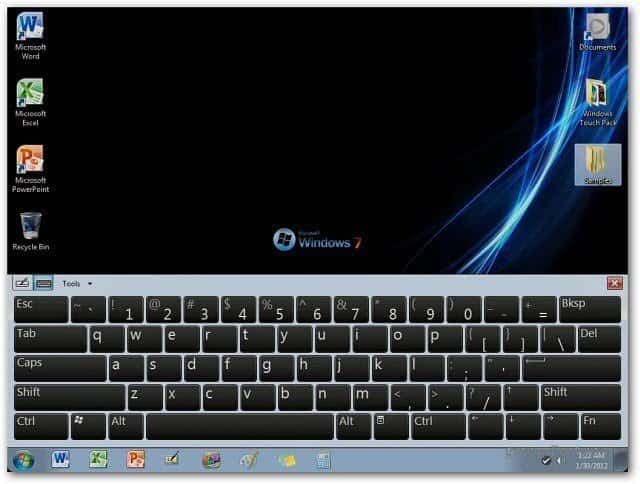 It offers a limited version of Windows 7, but there are still some ways to tweak it. 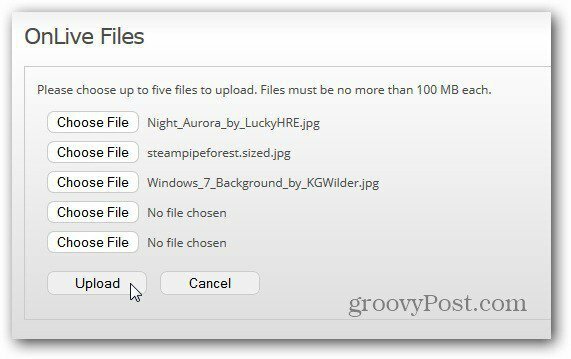 Here’s how to change the desktop wallpaper. Here is the default wallpaper, it looks fine, but you might want to customize it with something else. First, upload some photos or wallpapers that you’d like to use. 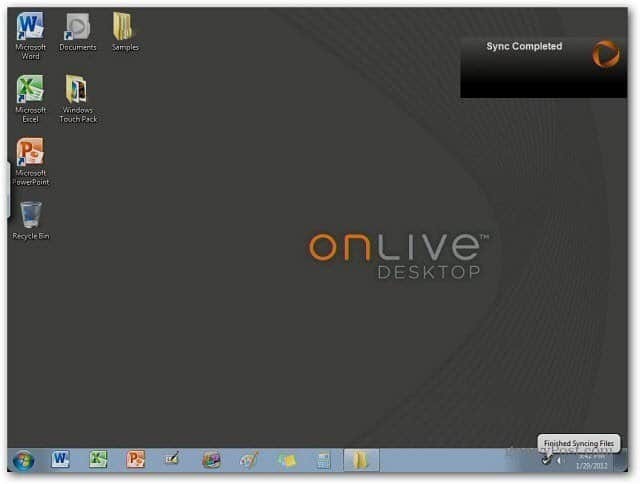 Log into your OnLive Desktop account and sync the images like you’d sync MS Office files. After the images are synced, tap to open the folder you stored them in. 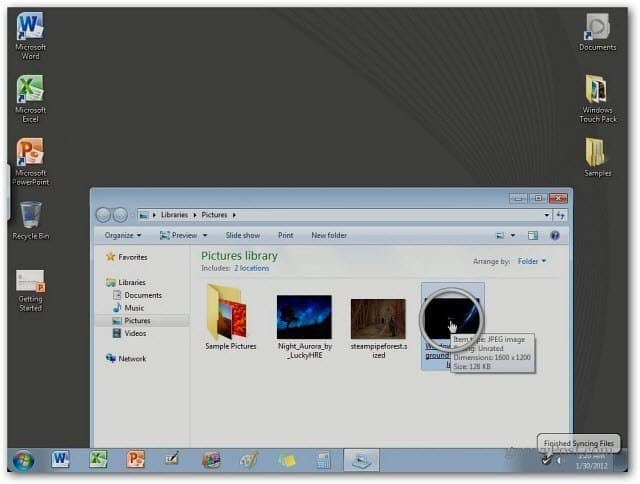 Next, you need to practice your finger gestures for controlling actions with OnLive Desktop. With one finger tap and hold a picture until a circle appears around it. While still holding down on the image use your second figure and tap the screen. This mimics the right click action of a mouse. 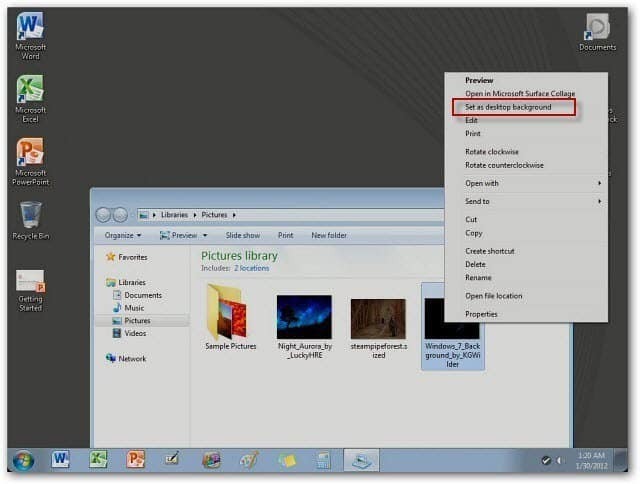 The Context Menu appears. Tap Set as Desktop Background. There are also the standard Windows 7 sample pictures you can use as your desktop background as well. The new wallpaper is now displayed and you can continue using OnLive Desktop to work on your MS Office documents. For more, check out our review of OnLive Desktop. It’s an amazing app that lets you work on MS Office documents on your iPad. 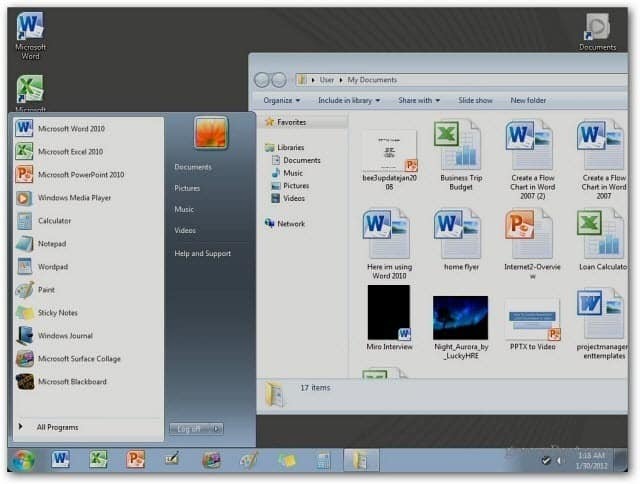 This app gives you a free version of Windows 7, Microsoft Office 2010 and 2 GB of free storage.